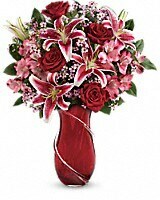 The ultimate in Valentine's Day luxury! 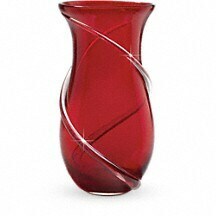 Inspired by Italian art glass, this exquisitely crafted hand-blown glass vase is a keepsake she'll treasure forever. 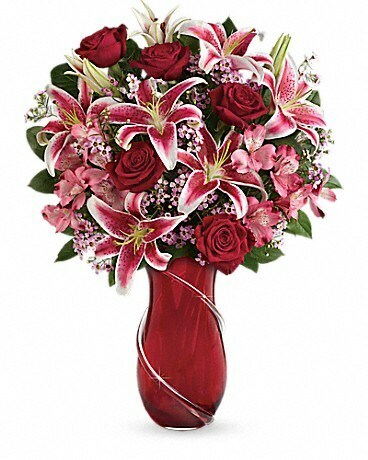 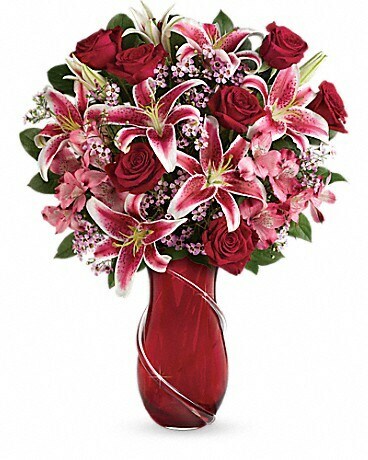 Its graceful shape and sparkling, hand-applied glass ribbon are the perfect complement to this dramatic bouquet of romantic long stemmed red roses and fragrant pink stargazer lilies.